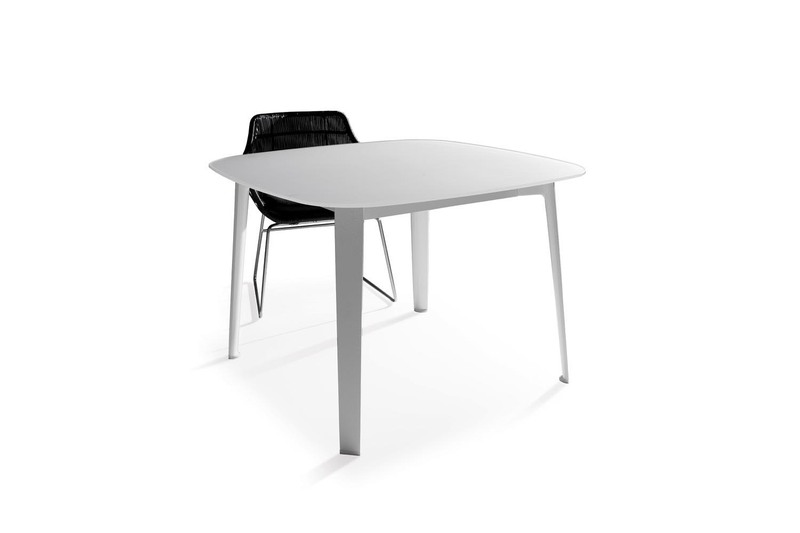 Gelso comes in two heights, 66 cm and 73 cm, and features the same leg design as Carpino. It boasts a crystal glass top painted white to complement the frame. 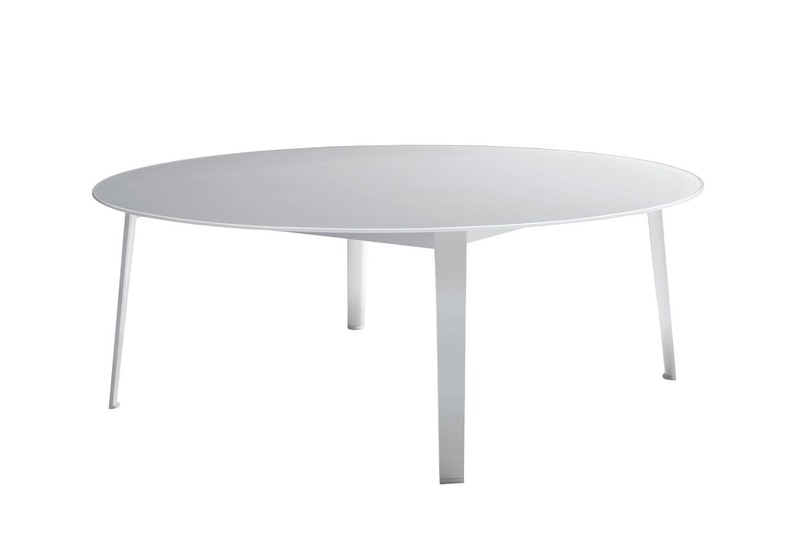 Two sizes are available: a round piece with a diameter of 180 cm and a 105 cm square piece. The varying sizes allow for coordination with the ranges of chairs and armchairs from 1966 collection, Canasta and Crinoline.